‘Finding Stillness’ through movement and meditation is an interactive ebook designed as a teacher’s or parent’s resource. Complete with 10 inspirational classes, diagrams, audio meditations and a yoga nidra. 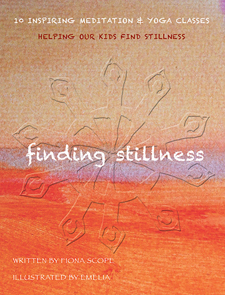 The aim of the ebook is to ‘help our children find stillness’ through movement, understanding their body and listening to nurturing meditations.